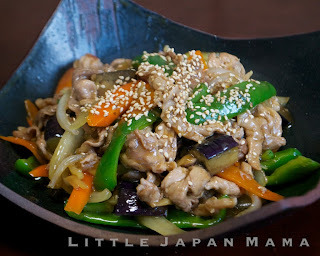 Recipe Titles below images. 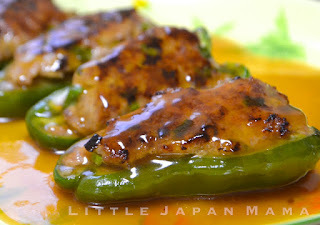 Click to see recipe. 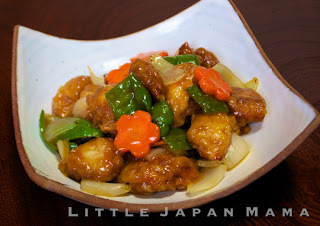 Sweet and Sour Pork (Su-Buta) Su-buta is the Japanese version of a favorite Chu-ka dish, Sweet and Sour Pork. 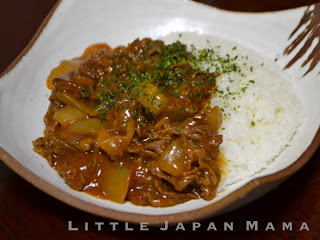 Gyudon Beef simmered in soy sauce, ginger and sake, served on steamed rice. 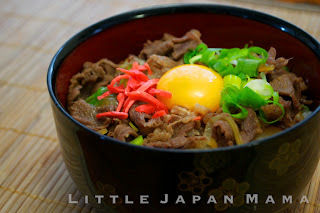 Tsukimi Gyudon That's with the optional Egg on top. 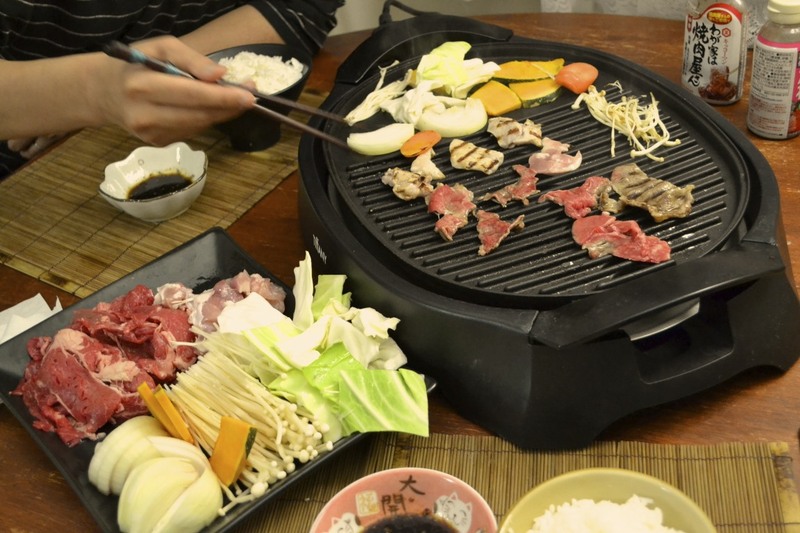 Yakiniku Various meats and vegetables barbecued at the table, served with dipping sauces and steamed rice. 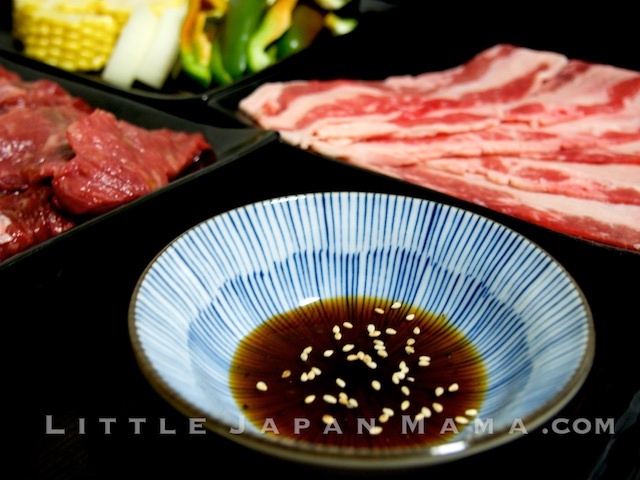 (Japanese Barbecue at the table) Gyutan Yakiniku: Including slices of tender beef tongue. 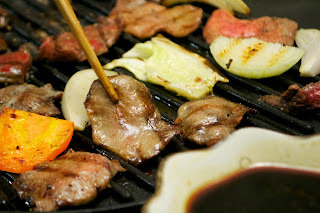 Yakiniku Sauce (Tare) Recipe 1-Step Recipe for tare just like in Gyu-kaku Yakiniku Restaurants! 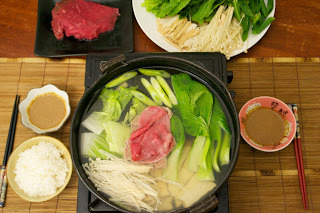 Shabu-shabu Shabu-shabu has the image of a luxurious Japanese dinner party and yet, it can be made with not-so-expensive, everyday ingredients. 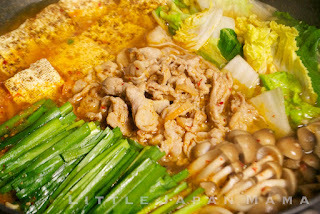 Kimchee Nabe Kimchi Nabe (nah-bay) is one of our long-time Nabe Party favorites, along with Sukiyaki and Shabu-shabu. 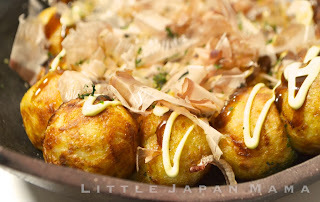 Takoyaki The secrets to crisp, golden takoyaki. 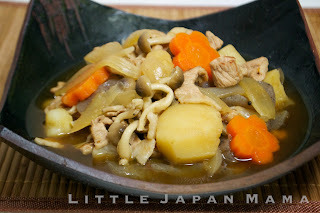 Nikujaga Meat, potatoes, onions and some carrot. 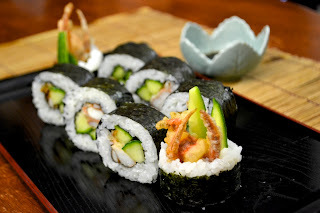 You're done. 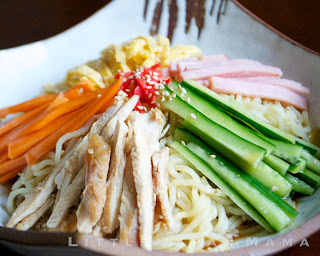 A legendary Japanese home cooked meal. Hayashi Rice Like Cream Stew and Corn Potage, Hayashi Rice is a Yoshoku dish, which means it is the Japanese adaptation of a Western-style dish. 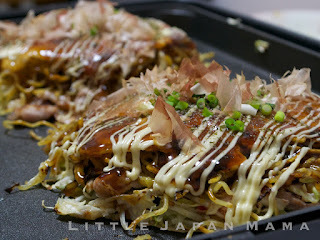 Okonomiyaki Super-easy everyday dish, with endless Variations. 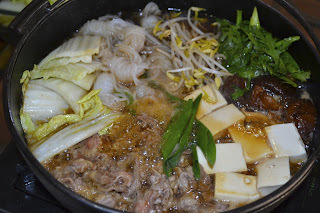 Sukiyaki With Wagyu. 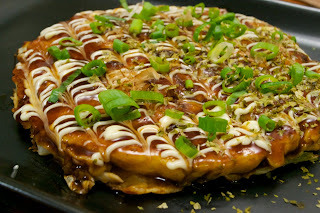 This was incredibly zeitaku (luxurious). 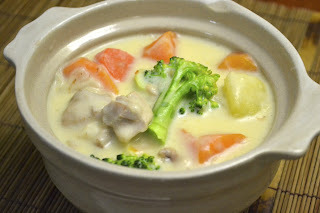 This is not what we eat everyday. 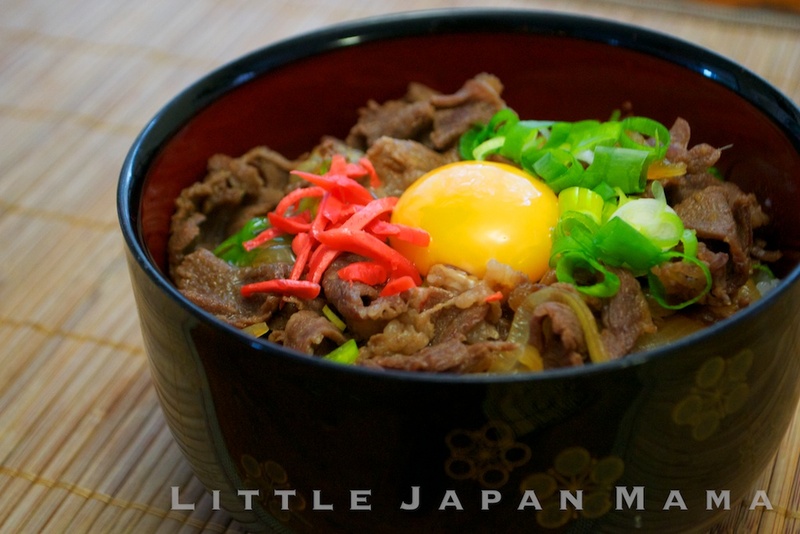 Sukiyaki with everyday ingredients. 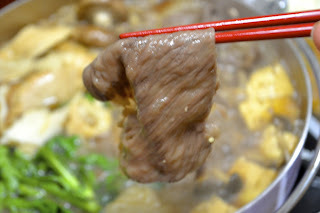 Very traditional, Sukiyaki is my favorite of my mother's cooking. 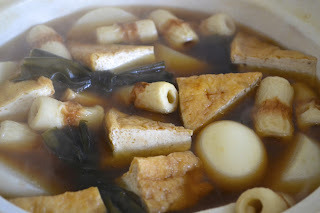 Oden Japanese fish cakes, tofu, potato, boiled eggs etc in a warming broth. 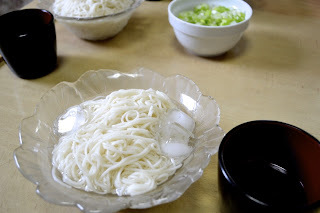 Somen and Soba : Cold noodles with a refreshing dipping sauce Dipping Sauce for Cold Soba or Somen Noodles, also used as an ingredient in other Japanese dishes.